REVISED: 2018, to add an action to convert vector layers to CSH shapes. This is one of the handy little actions in my Designer Resource Kit. This is the Shape It action pack. This action has two versions. The original (raster version) will merge all your visible layers, create a vector shape from them, and automatically add it to your Shapes Presets. 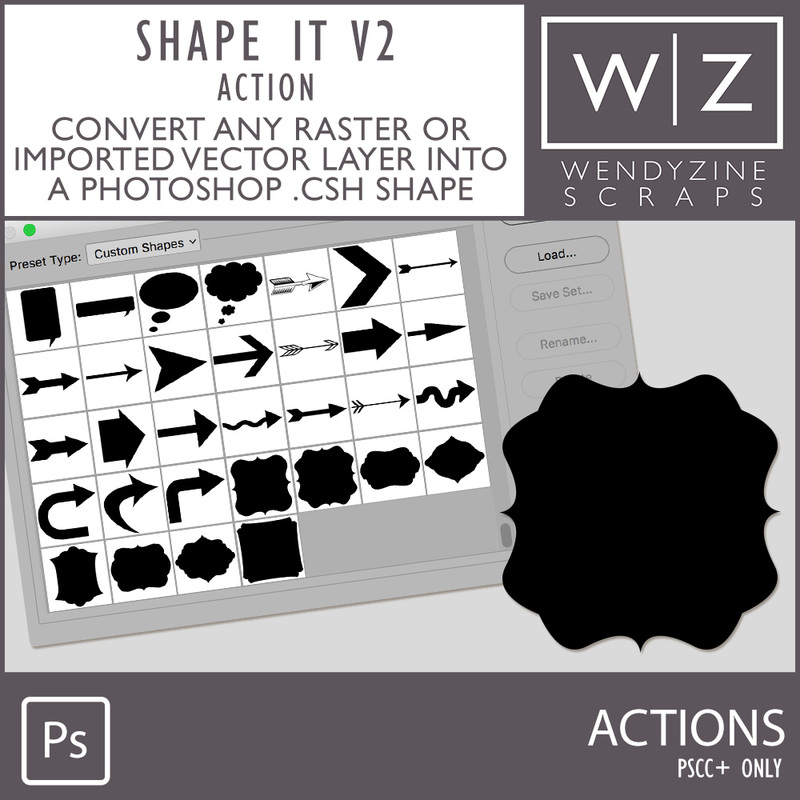 The new version will convert a single vector layer to a Photoshop shape and add it to your Shapes Presets. You will be prompted to name your shapes. You can add several shapes all in a row. Then, simply go to your Shapes Palette to select and save your shapes in a set. Offer custom shapes to your customers or create shapes for your own personal use from almost any PNG or imported vector. This action pack is designer-friendly at no additional cost. TESTED in PSCC+ ONLY. It will NOT work in PSE.